Hello Friends, As you all know, we share pdf notes and various important information related to Daily Competitive exams for all the students in both Hindi and English languages. 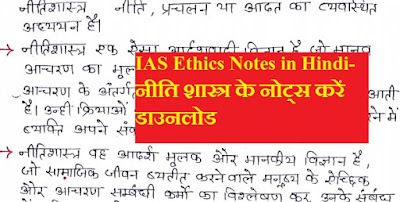 Friends Today, through this post we are sharing a very important notes for all students who have "Desire IAS Ethics Notes in Hindi-Download For All Competitive Examinations". If you are preparing for all the different competitive exams, then you must read all these notes once. For all of you, let us know that these notes are completely handwritten, which are written by the students. 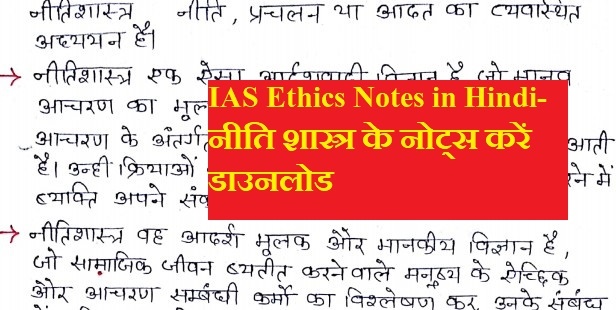 You can download all these notes with ease through the buttons given below.